Our product range includes a wide range of twin lobe blower. 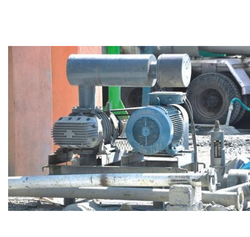 We are well-known provider engaged in the offering Twin Lobe Blower to the clients. They are available with us in low RPM high pressure, high RPM low-pressure designs and are available in all shapes and sizes. The offered blower is precisely manufactured with the use of quality assured components and latest technology as per the defined industry norms. Moreover, our quality controllers kept the quality of the proffered gamut high by keeping the control on the fabrication.